With the advent of winter, when the sun ceases to burn mercilessly, again I want to "let" him in the house. However, at this point, the homeowners face the problem of peeling sun film. This can be done using special tools. Use skinning tool designed to clean the plates, such as Shamanic or Sanita. 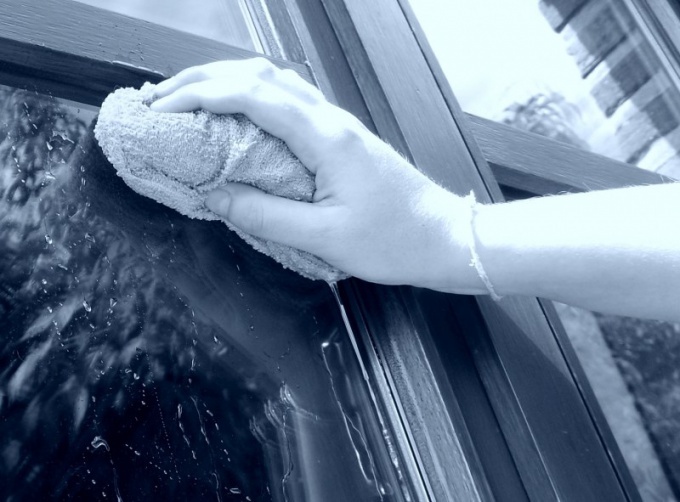 If you have plastic Windows, protect frame from contact them potent detergent in order to avoid unexpected reactions with the plastic. Cover them with, for example, a thick plastic film. If you accidentally make contact PVC with detergent, immediately wash it off with water. To begin, apply the solution only on a small area of the film, RUB and then rinse. When working with tools be extremely careful. Be sure to wear gloves and avoid getting it in the eye. If the first time the film is not moved, try again. Can use products intended for cleaning glass-ceramic. Effective such as Kochfeld, Domax, Selena-extra. The structure of the protective film include aluminum, therefore to cope with its removal must help the means for removal of this item. Use alkaline cleaning agents metals of the categories of detergents, for example of the series Pentamax or Bantamoi. Such cleaners remove complex organic and mineral deposits. The ineffectiveness of the above-mentioned tools come to the aid of the scraper with hardened or carbide blade, or detergents with a content of fine abrasive particles: pemolyuks soda and the like. These funds should be applied to the window surface in combination with a solvent or alcohol. After removing the foil Polish glass diamond paste or GOI and felt. Another way to remove film is to RUB the glass melamine sponge, which is made of plastic of new generation. For its application does not require applying any cleaning products. Just wet the sponge and RUB it the place covered with foil. Like the eraser sponge is designed to gently remove any impurities from hard surfaces.